You know what makes classic psych so hard to recreate? 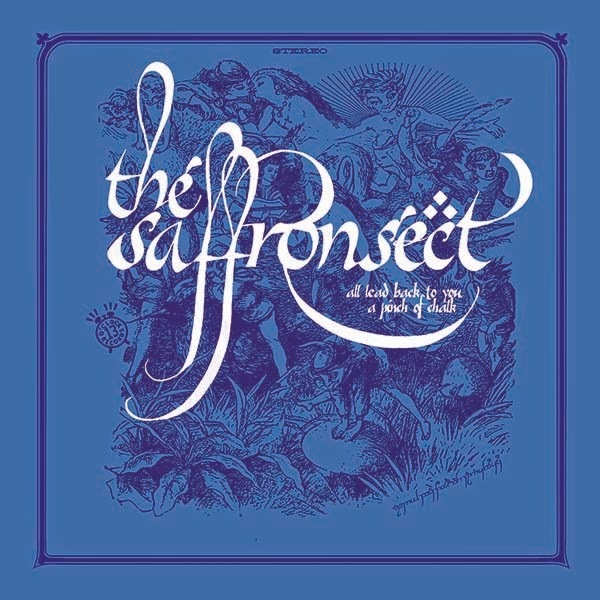 It's having an ear for the original techniques and gear and then also possessing the skill to use those tools to pull off a single like this one from The Saffron Sect. They don't stick too closely to that classic stuff either, grabbing at piece that fit and refining contemporary production in the autoharps and sitars. Then again they've been at this or the past twelve years so they might just have a slight advantage over anyone attempting this kind of homage. A-Side's "All Lead Back to You" is actually a cover of The '60s track from The First Impressions. 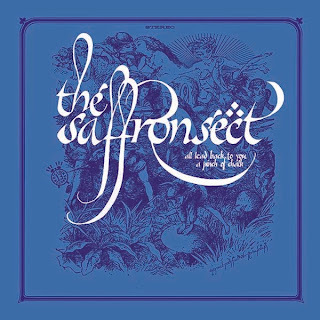 The Saffron Sect feel like they're slowing the original track down and add a heavy flute arrangement from Kristina Koskinen and pushing this into even further reaches of psych. They don't stop at the flute either, an impressive list of baroque layers sound more like the harder long trip stuff instead of a kaleidoscope pop sounds of the original. The liner notes on the back of this are extensive, each member plays a number of esoteric instruments and they've all been layered in floating smoke trails of incense. Not to mention the recording itself has been heavily worked over in post, pans and different vocals come in on separate channels but nothing is overplayed or really pushing that bad trip. It's a smooth transition between tempos and instruments passing you from oversized harem pillow to pillow. By the end of this it flirts with a heavy almost Sabbath sounding devils intervals. B-Side's "A Pinch of Chalk" opens on street noise taking a big riff turn into more Sabbath inspired chords sliding further into a progressive '70s Yes sound with the pile of instrumentation swirl. Fantastic vocal that steps over itself picking up right before the last verse is finished and that's the kind of thing that brings this into the 21st century. The way they work in that mindset with new tools in ways that era wished it could have. Starts to make perfect sense that this sound would make itself more prevalent in the era of garageband etc. But then again you have to be really really technically skilled to get tot his place and then start experimenting. A shimmery dreamscape flashback collage of bells and effects fades this one out. Impressive modern psych that would fool most '60s historians - aka parents.